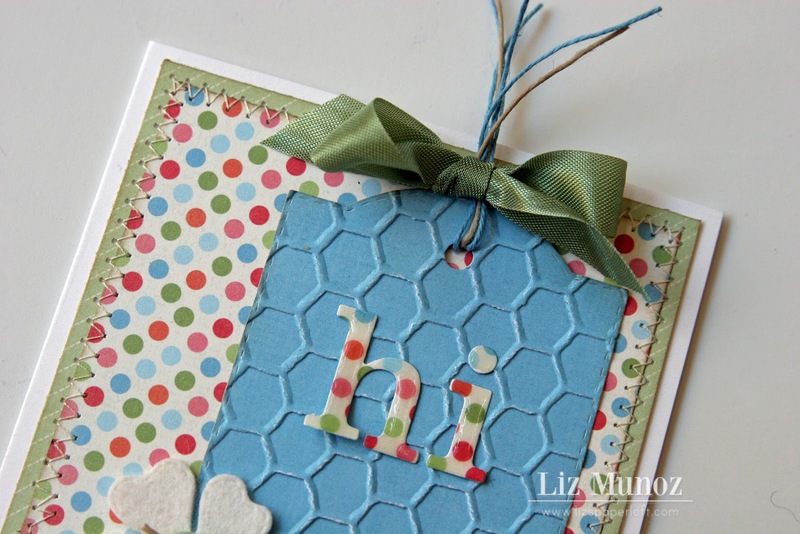 My Creative Time: Designer Challenge-- Liz Munoz "1, 2, 3 Challenge"
Designer Challenge-- Liz Munoz "1, 2, 3 Challenge"
Hi Paper Lovers, it's Liz from Liz's Paper Loft! Welcome to My Creative Time's Designer Challenge, I'm so thrilled and excited to be this week's Designer! For the challenge I wanted to keep things simple, you know like 1, 2, 3! So that's exactly what it is...use 1 bow, 2 pattern papers, and 3 buttons! How much simpler can it get? Well as simple as it seems, it was a bit challenging to do...at least for me! lol! I really wanted to use another pattern paper, but I couldn't go against the rules (lol) so I used my Sizzix folder for the hexagons! 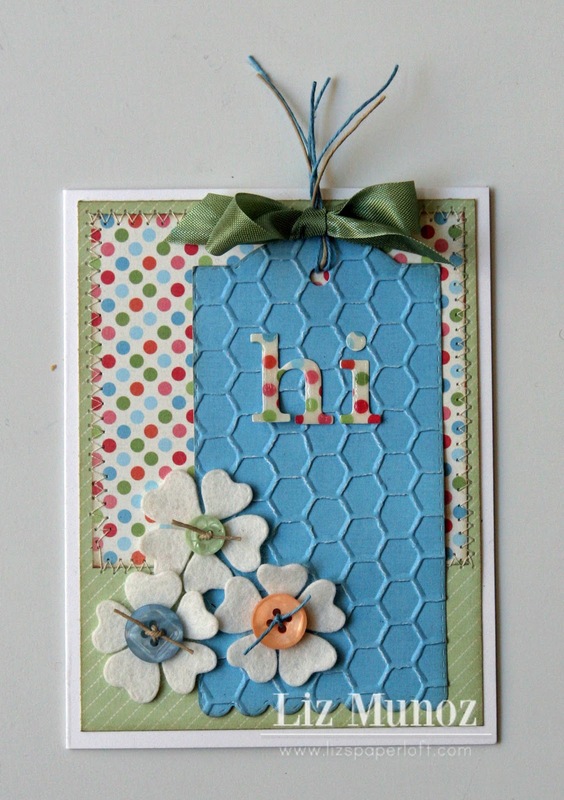 For the "hi" I used Lowercase Fun Letters and the flowers were made with felt and Flower Petal Dies. Some hemp for the buttons and seam binding ribbon on the tag complete this challenge! Oh I did do a little sewing too! For the complete receipe you can head over to my blog! Now here is the rest of the girls with their FABBIE projects! Last, but not least, here is my card for you today! 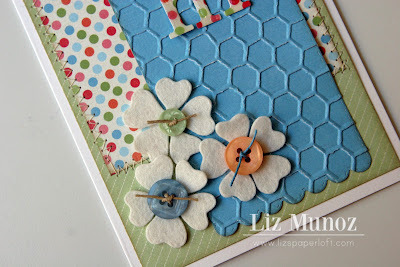 Today, I made this card for a bloggy friend who needs some support at this time! I was VERY HAPPY w/this challenge because it was a FUN & Easy one! ;) You can see in my video below exactly how I put my card together! Here is the inside of the card! I was going to put a "Thinking of You" sentiment, but I thought this sentiment from "Pain Pain Go Away" was more fitting! here's a close up! I just LOVE how this card came out! You can just see all of the beautiful stitching on my "Flower Petals" & the beautiful embossing on my "Envelope"! I hope you enjoyed all of these FABULOUS projects today! I would LOVE to see LOTS of you joining in this "1, 2, 3, Challenge"! Go ahead & link up your projects to Mr. Linky below & the deadline for this challenge is Wed, Feb 6th @ 3:00pm PST! You ladies are all so amazing!! You're creations for this challenge are all so adorable & gives me lots of inspiration to do some creating of my own for this challenge!! Good job ladies!! Awesome projects by everybody! I'm really loving these!!! Great Challenge and fabulous projects by the DT. Just the inspiration I needed on this rainy Thursday! Gorgeous card Emma! Everyone did an amazing job with this challenge! Thanks for the challenge it was fun. Enjoyed all the projects today. 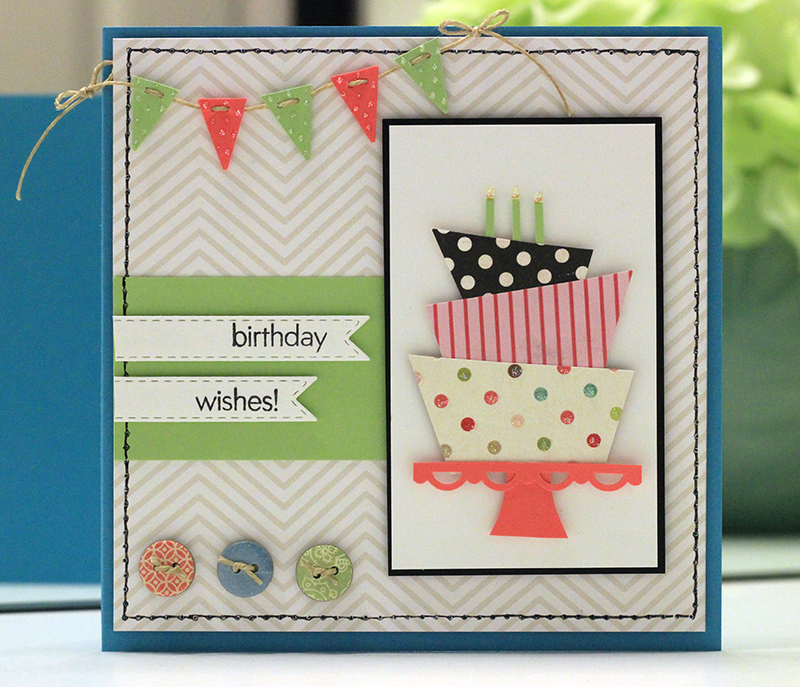 Oh Emma you did it again and it was so much fun watching your video and love how you show all the elements you used to create your card and your friend is going to sure perk up when she opens her envelope and finds your amazing card. You are so creative no matter what it is that you need to come up with you sure are so very talented. I always appreciate the hard work you put into everything. Miss Lee Ann, your card was FABULOUS my sweet friend! Thanks for playing along! Super cute projects everyone!! Great challenge Liz!! 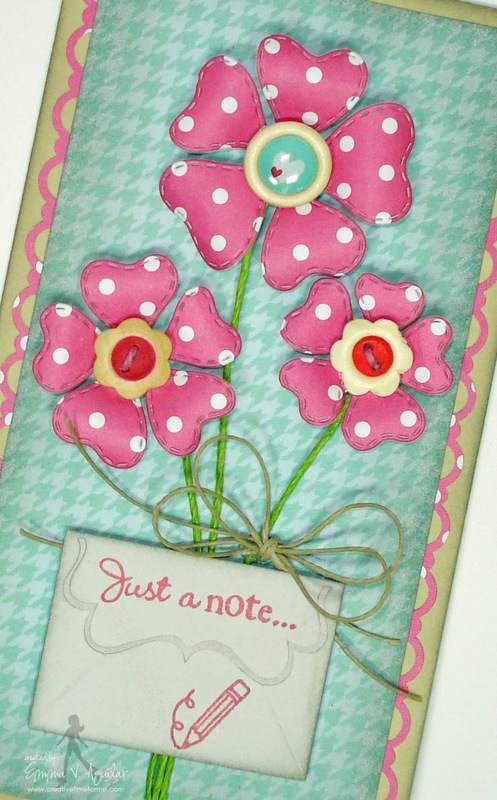 Emma ~ I ADORE how bright and happy your card is! LOVE how you did the stems for your CUTE flowers!!! I must say that little envelope die ~ too CUTE too! This will sure lift anyone's spirits!!! Liz ~ I loved this challenge! Everyone did yet another AMAZING job!!! Can't wait to see what everyone else creates!!! Your flowers look amazing on your design. I am in awe of your amazing products and talented DT. Loved this challenge, it was so much fun! It was so much fun to look at all the awesome projects from the DT. Beautiful card Emma! You and the Design Team did a great job on this fun challenge. super cute emma! I love how you use the thick hemp! just too creative!!! Emma this has got to be one of my favs! 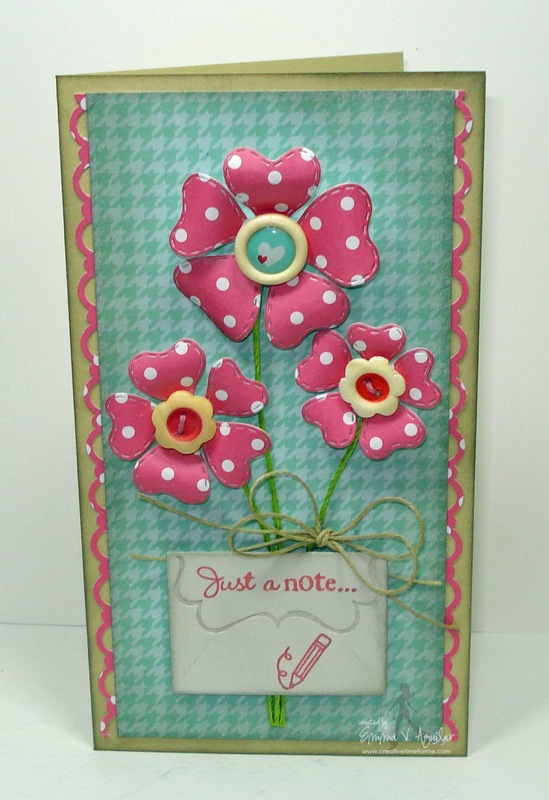 Tose flowers are adorable and LOVE the polka dot paper, the colors you used are awesome together and the DT projects are beyond awesome! What a great projects by the DT and You! Thanks for the challenge and the inspiration! Loved the challenge! Love all the projects from the DT, thanks for the inspiration! Great projects by the DT's, and such a fun challenge. Great Projects! I am always inspired by your design team! :) I had so much fun doing your challenge. It reminded me of the old days doing the Throwback Thursday challenges. :) Good Memories...Emma! Such beautiful projects! (as always)... and what a great idea for a challenge! I accidently put the wrong URL on number 18 I have a new touch screen lap top. I am not too good at it yet. Yes, We have a challenge, awesome thanks! Loved the challenge and had so much fun. Hope you enjoy my entry. Mrs. Emma and Liz super fun challenge. I hope you like my entry. Thanks for the opportunity. Gorgeous projects by all!! Wonderful challenge and hoping to get an entry in! Great challenge love your stitched layer hearts! 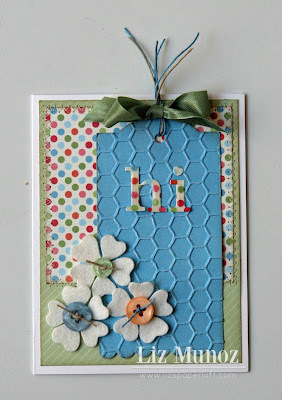 This is such a fun challenge and love all the DT inspiration!! I love this challenge. I had so much fun with it. Thanks for the inspiration! Great challenge Liz! Love all the DT projects-you all rock! Thanks for the fun challenge and great inspiration. thanks for the fun challenge great inspiration! Thanks for the challenge Liz! Fabulous inspirations by the DT, Thank you!! !